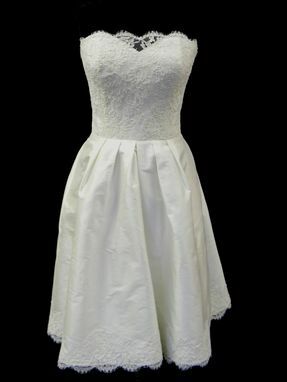 Super cute ivory alencon lace and silk knee length dress. Feminine and flattering details such as eyelash lace trim and pleated natural waistline. Perfect as a date night dress, a casual wedding or courthouse wedding dress, or rehearsal dinner dress!